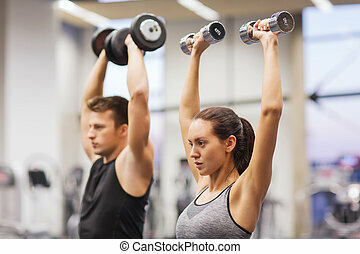 Fitness couple exercise biceps. 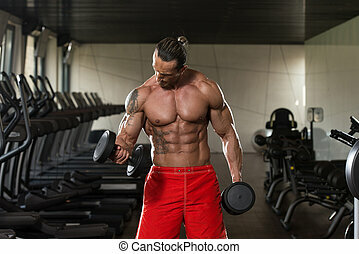 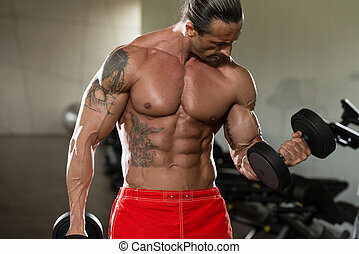 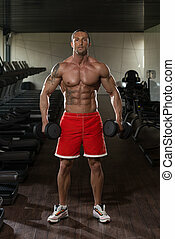 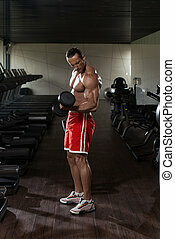 Strong young couple working out with dumbbells - shot in studio on a black background. 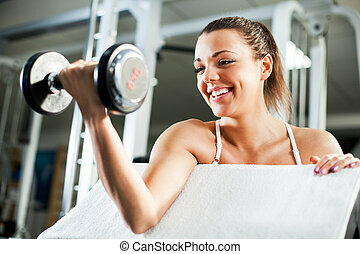 Cute Sporty young woman doing exercise in a fitness center. 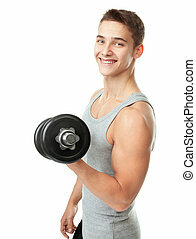 She is working exercises to strengthen her biceps. 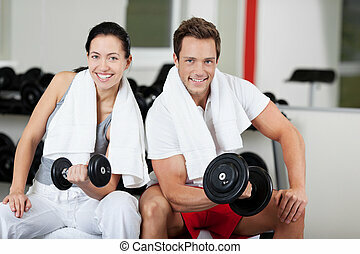 Beautiful athletic couple posing together over black background. 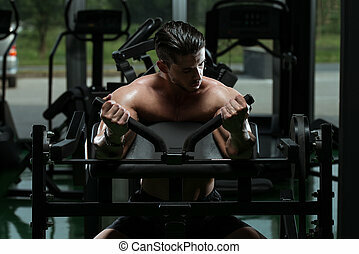 Gymnastics, fitness, bodybuilding. 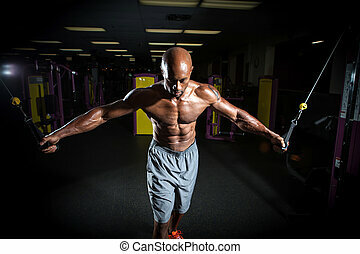 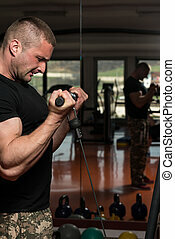 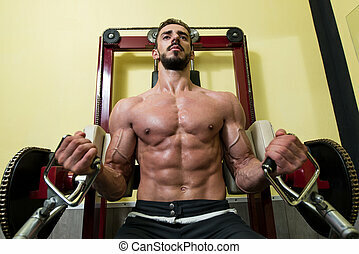 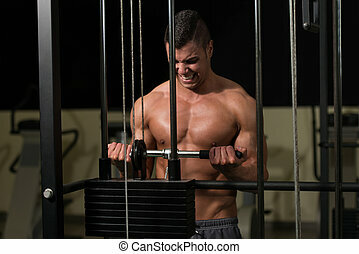 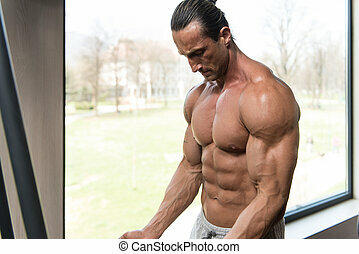 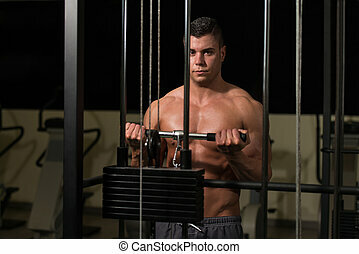 Muscular body builder working out at the gym on a cable machine.